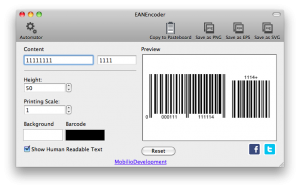 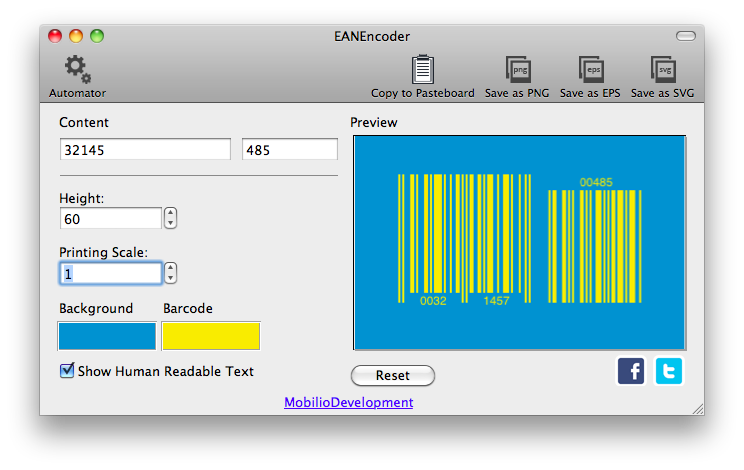 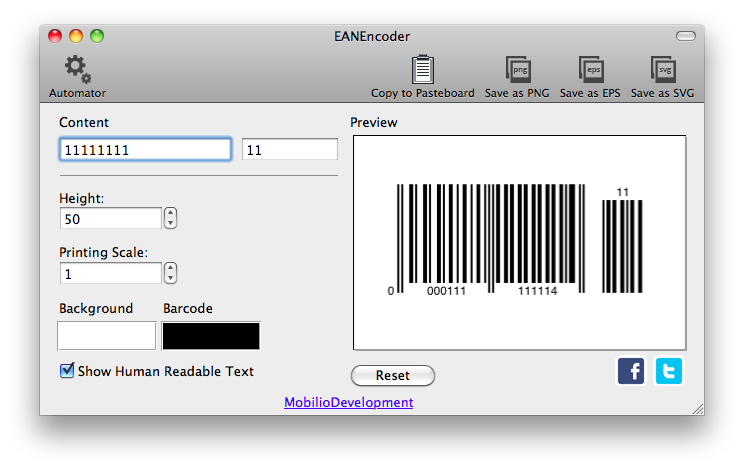 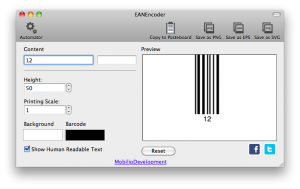 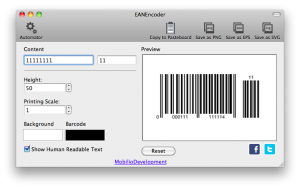 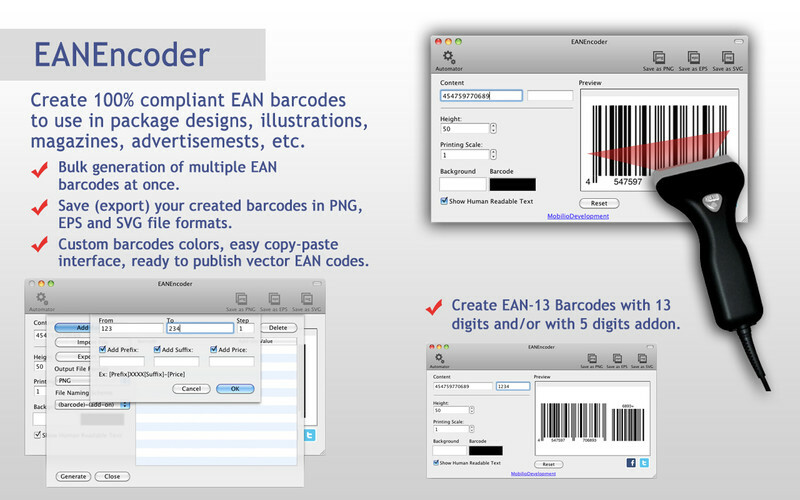 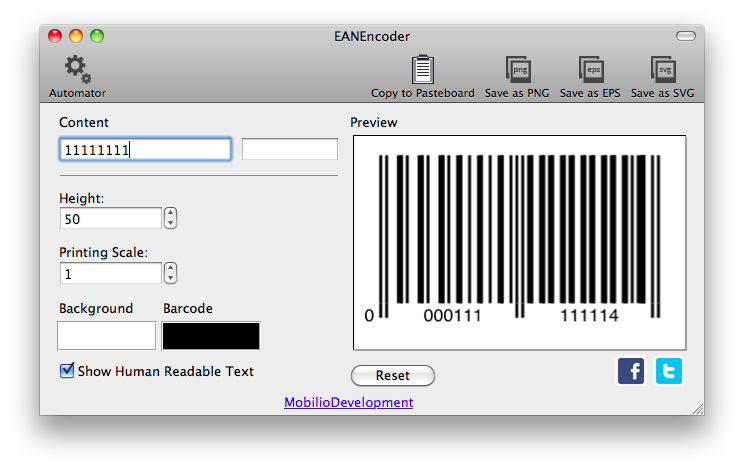 EANEncoder is EAN barcode generator that creates 100% consistent with the accepted standards EAN barcodes. 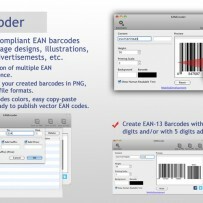 They can be of perfect use to you in your package designs, illustrations, magazines, adverts, etc. 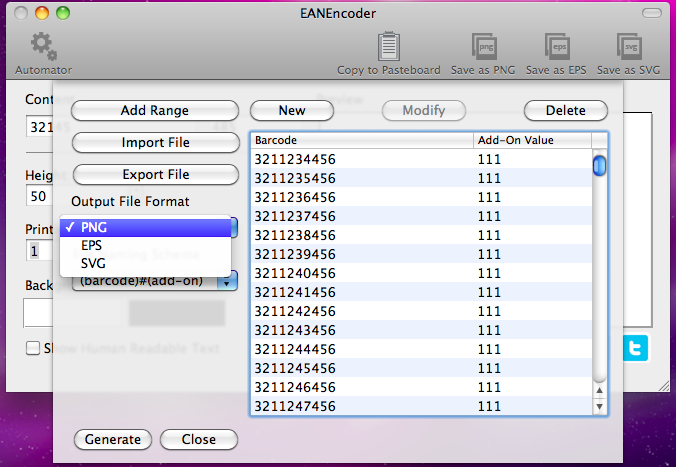 Enter or paste your data. 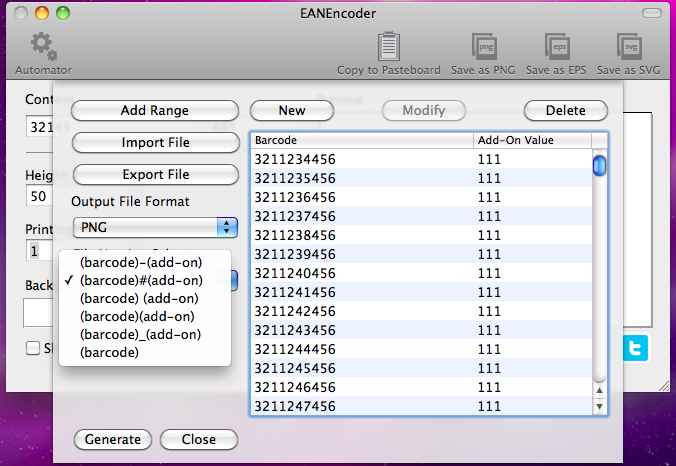 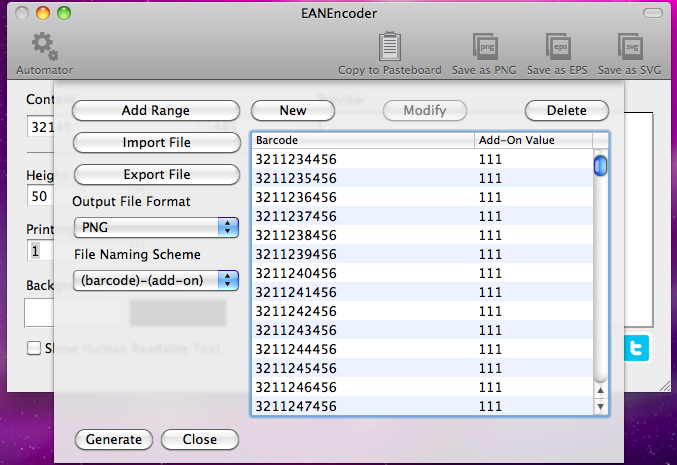 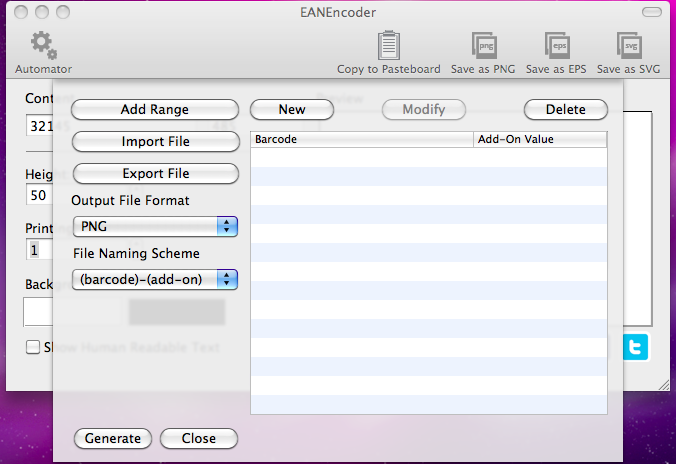 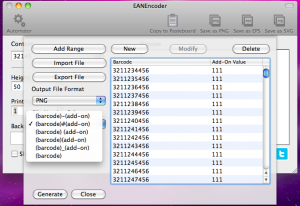 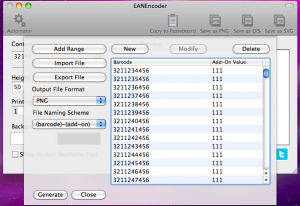 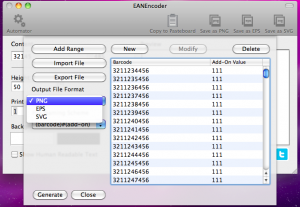 EANEncoder is currently available on the Mac AppStore. There you can check out our other great barcode generation apps: QR barcode generator and UPC barcode generator . EAN, alongside with the UPC, is the only barcode that is accepted by the organization GS1 to be scanned while a product is being sold. If you are a person who sells his products to foreign buyers, then by the GS1 standards you need to designate your products with EAN barcodes. 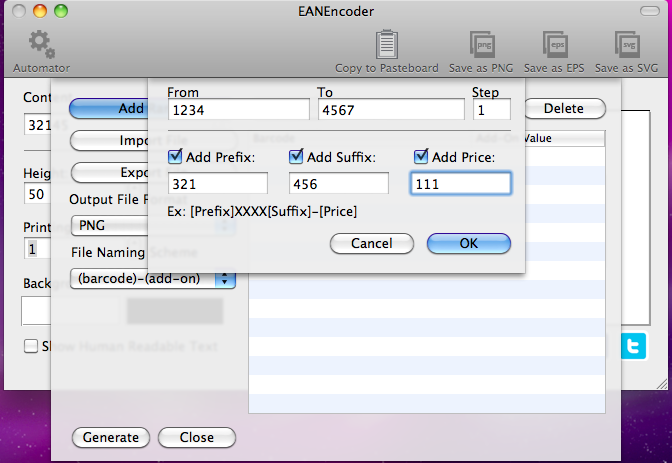 Instead of browsing the net for online generator try our simple and fabulously functioning EANEncoder. 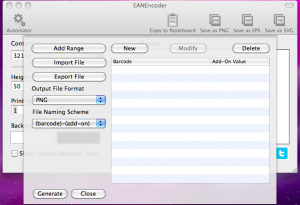 This video shows you the EANEncoder in action! 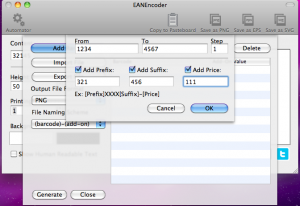 This video shows how to use the Automator.